Don't get too excited by my header title. There's apparently not much there. But as you'll see, anyone requesting information gets a validation of maybe logic. I've been thinking about doing a Freedom of Information Act request for RAW's FBI file. When I checked, however, by Googling around the Internet, I discovered that at least two other people have been ahead of me. FBI file. FBI notes other material has been destroyed." It says separately that records that appear to be responsive to the FOIA request have been destroyed. The documents list courses offered at the Free University of New York, including "Anarchistic & Synergetic Politics" by Robert Anton Wilson and another RAW course, "Word Fallout: Literature as Insurrection." According to the FBI, Wilson described himself as a freelance journalist and lecturer on literature and science. A handwritten note on the first page of the PDF notes that photocopy was given to the CIA. I liked the fact that the last page reproduced in the document is Page 23. I could not find anything in the document that identified who made the FOIA request to the FBI. 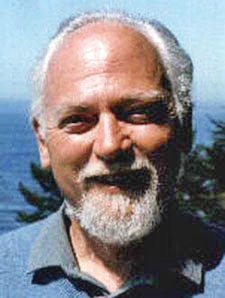 A journalist named Michael Morisy (this guy) made a FOIA request to the FBI earlier this year, asking for "all documents mentioning counterculture writer Robert Anton Wilson." Morisy got a letter back saying that "no responsive main files were found." The letter does note that certain documents related to law enforcement and national security are excluded from being released. I think RAW would have enjoyed this next sentence of "information": "This is a standard notification that is given to all our requesters and should not be taken as an indication that excluded records do, or do not, exist." So "maybe" there are FBI files on Robert Anton Wilson that the FBI won't release!